Two aesthetically intriguing photographs and two compelling videos won top prizes in the Faces of Transportation competition sponsored by the American Association of State Highway and Transportation officials. The photographs depicting transportation professionals and citizens interacting with iconic symbols of the nation’s infrastructure won the Grand Prize and the People’s Choice Awards. A judge selected the Grand Prize photograph and more than 5,800 online votes decided the People’s Choice award winner. Private citizens and state department of transportation employees from 21 states submitted 118 photographs and nine videos in the competition. The photographic entries were judged in categories new for 2017: Motor Vehicles; Pedestrians and Bicycles; Planes; Roadways and Bridges; Ships and Boats, and; Trains. Videos competed in two categories: Professional Production and In-House/Amateur/Novice. 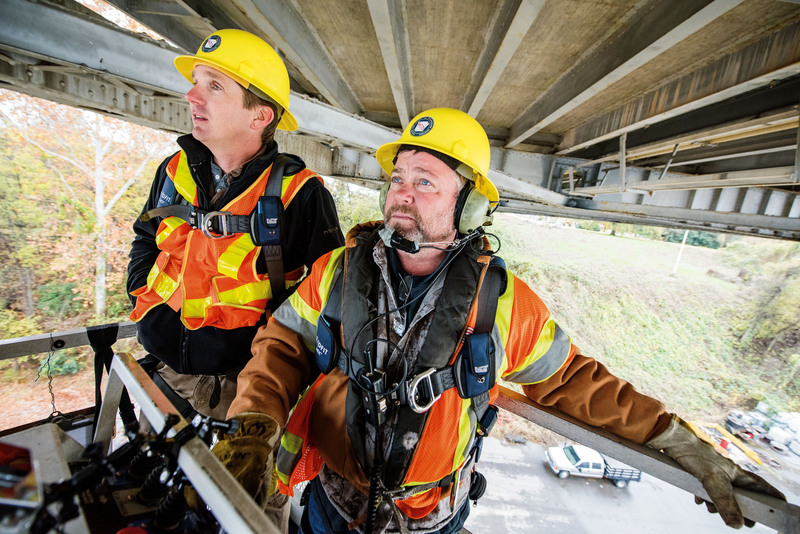 The Grand Prize in the photography competition was awarded to Arkansas Department of Transportation Photographer Rusty Hubbard for his photograph of two bridge inspectors scrutinizing the I-55 span between Arkansas and Tennessee. 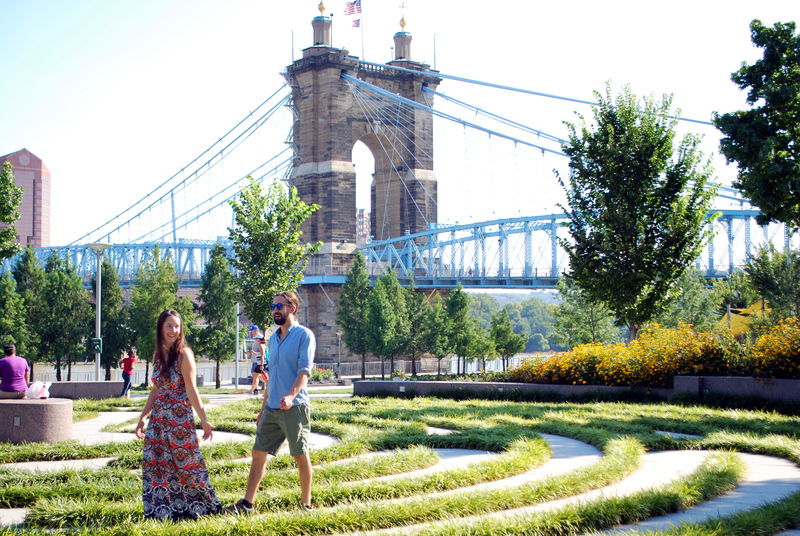 Kenan Erdemir and Brianna Wood enjoying a walk in Smale Riverfront Park, Cincinnati, OH. Behind them is the John A. Roebling Bridge. The People’s Choice Award was presented to photographer Nancy Wood who captured two pedestrians enjoying Smale Riverfront Park with a fantastic view of the John A. Roebling bridge in the background. In the video competition, the Fairbanks International Airport won in the Professional Production category for its high quality production highlighting ANC Airport Airfield Maintenance. The Nevada Department of Transportation tied itself in the In-House Production/Amateur/Novice category for two of its videos: Controlling the Snow and Going to New Heights: Galena Bridge Inspection. The videos were judged by AASHTO Media Relations Manager Tony Dorsey, a former television reporter/anchor at the NBC station in Washington D.C.
To view all of the entries in this year’s competition, visit the Faces of Transportation blog at http://www.facesoftransportation.org.